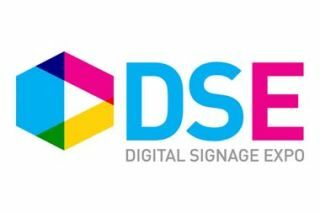 Digital Signage Expo announced they will offer a session entitled "Pratical Lessons Learned From a Digital Signage Network Overhaul" as as part of its Digital Signage End Users Seminar Program at DSE 2017. On Thursday, March 30 at 9 a.m., Steven Schultz, Director of Information Technology for Jacksonville Aviation Authority and Colleen Hamilton, Principal of Art of Context, will co-present a session that will demonstrate how Jacksonville International Airport implemented a digital signage solution that unified displays for baggage, flight and gate information as well as screens for common-use ticket counters, advertising and wayfinding. Attendees will learn to identify and mitigate risk factors when rolling out a digital signage project for critical operations functions, identify areas where a unified approach to digital signage can minimize integration costs in the short-term and operation costs in the long-term and recognize how to organize a digital signage project to streamline the approval process. Registration for “Practical Lessons Learned From a Digital Signage Network Overhaul” is available online at www.dse2017.com.